People who were born after 1990 tend to consider a world without the technology they rely on so much an unimaginable place. However, such a world existed not long ago. In fact, while technology existed a decade prior, it would be considered stone age artifacts by most people today who utilise touchscreen mobile devices and lightning fast desktop computers. Unfortunately, few people take the time to look back and appreciate the types of devices that paved the way for the popular pieces of technology that we use so often today. 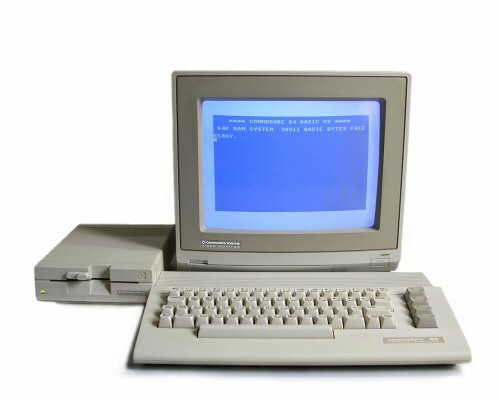 Whether it is that massive cell phone from an episode of Saved by the Bell, or the Commodore 64 from 1982, there are many forgotten pieces that were the stepping-stones for modern technology. To help neutralise this widespread neglect, the commodore is being re-released with a few modern upgrades. This re-release has been received with high regard by both people from the generation of the original commodore, as well as people from modern generations just discovering its significance. Below are a few elements of the modern Commodore that people are finding most appealing. One of the most notable benefits that people see with the release of the modern commodore is the nostalgic aspect it provides. While the hardware specifications have been modernised, the overall look and feel of the new commodore has remained true to its roots. The keyboard keys are the same shape and colour as the original commodore. Additionally, consumers can even play the old 8-bit games that were all the rage back in the heyday of this classic machine. The new commodore has been equipped with some modern hardware that makes it operational for general use with modern amenities without much trouble. While it does not have the performance capability of an ultrabook, it does have generous processing power with an Intel Atom 1.8 GZ dual core CPU as well as 2 GB of RAM that can be doubled if the consumer wishes for a little more speed. Additionally, there is a wide selection of USB ports available to ensure all of your peripherals can be utilised. Another beneficial element of the commodore that has attracted consumers is the price. Consumers can expect to pay anything from $250 for the most basic option to $850 for the most decked out model. The re-release of the Commodore has caught the attention of a wide selection of consumers. From people of the generation that used the first C64 model to play their 8-bit video games, to people from modern generations that are just discovering this important machine. Whether you want to relive the good old days of simple technology or just want a fun conversational piece, the new commodore might be a good investment for you.